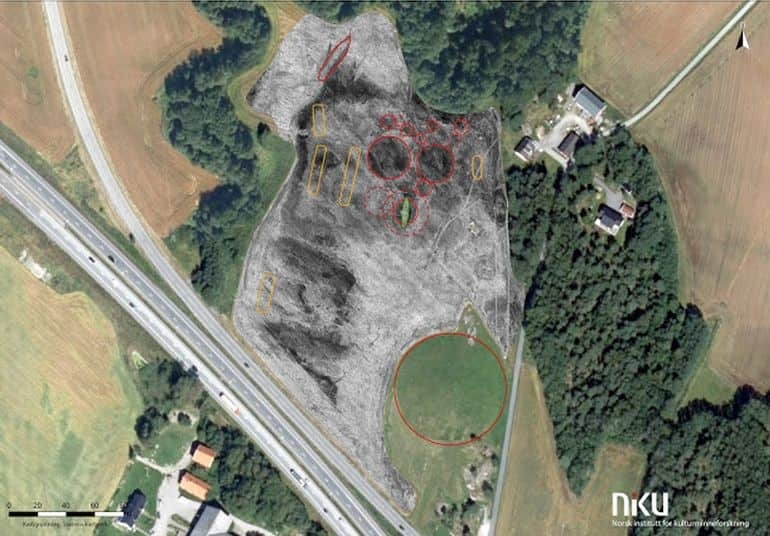 With the help of high-resolution ground-penetrating radar technology, archaeologists have spotted a Viking ship, along with several longhouses and burial mounds, in the Østfold County of Norway. The discovery was made recently by the Norwegian Institute for Cultural Heritage Research (NIKU), in collaboration with technology partner Ludwig Boltzmann Institute for Archaeological Prospection and Virtual Archaeology (LBI ArchPro). This find is incredibly exciting as we only know three well-preserved Viking ship finds in Norway excavated long time ago. This new ship will certainly be of great historical significance as it can be investigated with all modern means of archaeology. We are certain that there is a ship there, but how much is preserved is hard to say before further investigation. 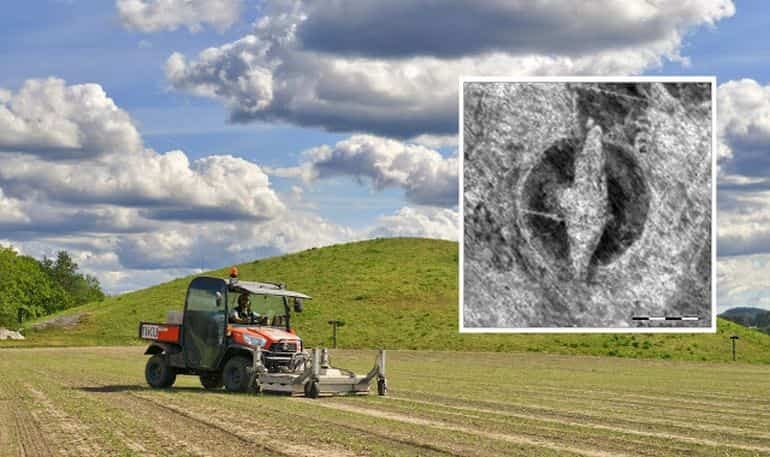 However, it is believed that the ancient vessel was brought to the site – located near the 1500-year-old Jellestad (Jell mound) in Østfold – from an inlet nearby called Oslofjord and buried there around 800 AD. According to the archaeologists, the Viking ship was likely part of a cemetery that housed at least eight burial mounds. The remains of these dome-shaped graves, although destroyed to a large extent as a result of plowing, were also detected with the help of georadar. The ship burial does not exist in isolation, but forms part of a cemetery which is clearly designed to display power and influence. The team from NIKU is currently preparing a research paper on the findings, and plans to further investigate the site and the area around it using non-invasive geophysical methods prior to the actual excavation. 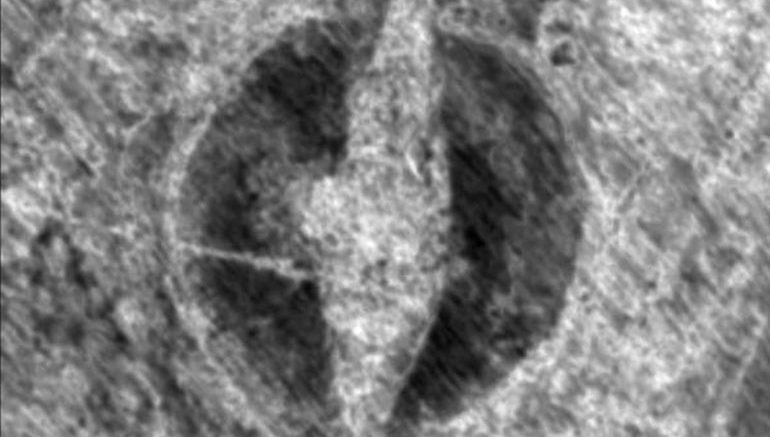 Earlier in March 2017, archaeologists unearthed a 1,000-year-old Viking toy ship at a site in central Norway. Found in a dry well at a small farm in the town of Ørland (on coastal tundra), the wooden object was designed in a fashion that partly resembles the drekar ship (or dragon – derived from the famed dragon-head on the prow) with its uplifted prow. Considering the popular image of Vikings being associated with dragon-headed longships, it might not come as a surprise that marine-based expertise is what the Norsemen excelled at. While Viking raiding ships were one of the defining features of Viking raids and military endeavors, these vessels had variance in their designs – which is contrary to our popular notions. According to historians, this scope of variance can be credibly hypothesized from the sheer number of technical terms used in contemporary sources to describe them. To that end, the Vikings before the 10th century made very few distinctions between their varied merchant ships and warships – with both (and other) types being used for overseas military endeavors. Simply put, the first Viking raids along the English coasts (including the plundering of the Lindisfarne monastery in 793 AD, that marks the beginning of the Viking Age) were probably made with the aid of such ‘hybrid’ ships that were not specifically tailored to military purposes – as opposed to the ‘special’ ships showcased in the Vikings TV series. However, in the post 10th century period, the Viking raiders boosting their organized numbers by military establishments or ledungen, did strive to specifically design military warships, with their structural modifications tailored to both power and speed. Known as snekkja (or thin-like), skeid (meaning – ‘that cuts through water’) and drekar (or dragon – derived from the famed dragon-head on the prow); these streamlined longships tended to be longer and slimmer while accounting for a greater number of oars. On the other hand, increased trading also demanded specialized merchant ships or kaupskip that were broader with high freeboards, and depended on their greater sail-power.